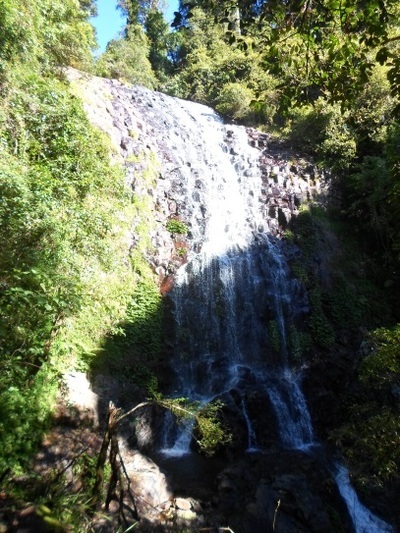 Dorrigo National Park is a World Heritage-listed attraction located on 'Waterfall Way' between Armidale and Coffs Harbour, in northern New South Wales. Fossil records suggest that the area hasn't really changed since it was part of supercontinent Gondwana. 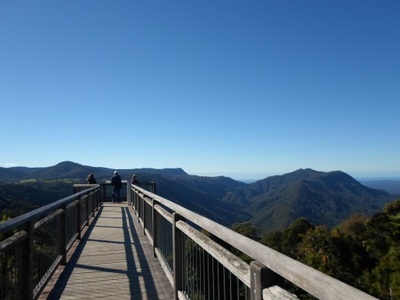 What draws most people to Dorrigo isn't its history though, but the view over the park and Bellinger Valley from the the Skywalk, which is located at the Dorrigo Rainforest Centre. It can be accessed even if the centre is closed and if you enjoy this view, you may also want to visit the Forest Sky Pier just outside Coffs Harbour. If the Rainforest Centre is open (which it is between 8.30am and 4.30pm on weekdays and 9.00am to 4.30pm on weekends) a look inside will reveal that it's part gift shop and part exhibition space. The latter park is dedicated to the National Park and includes both art and informative displays (some of which are interactive). The Canapy Cafe can be found right next door. 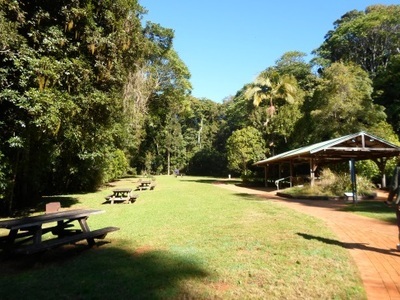 A few bushwalks can be begun at the centre. These include one long loop, which takes you down the valley floor, and a number of different sections up the top like the Walk with the Birds boardwalk (a 200 metre return), the Satinbird Stroll (a 600 metre circuit) and the Lyrebird Link (400 metres each way). If you only want to do a short walk, I recommend heading via a combination of any of these shorter routes over to The Glades Picnic Area, which is only a kilometre away (a half hour walk). This picnic area has seats, grass, toilets, tables and barbecue facilities,as well as its own lookout. It can also be enjoyed even if you don't want to walk there, as its accessible by car to, which makes it another good base from which to explore the park. 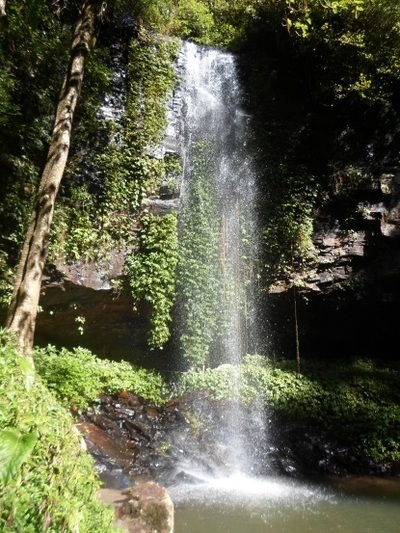 If you do want to to the whole bushwalking route, and complete the 5.8 kilometre Wonga Walk, you'll be rewarded for your effort; near the bottom are two quite spectacular waterfalls. Crystal Shower Falls is beautiful from every angle, whether you enjoy it from the bridge or walk out behind it, while Tristania Falls is pretty impressive too. 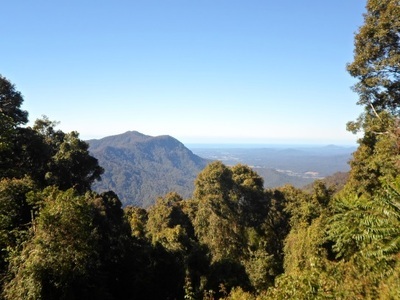 The Rainforest Centre is the focal point of most of what goes on at Dorrigo National Park, but there are a few other sections of the park where you can find more bushwalks and picnic spots. One of these is the Never Never Picnic Area, located ten kilometres away, where you can access two more bushwalks (but these are more difficult and take a few hours each). When: The park is usually open between 5.00am to 10.00pm. What is the most satisfying breakfast?